Mel has been on over 3000 roofs in her 5 years experience in the roofing industry. Mel likes to make sure her customers are well informed about any problems with their roof and likes to explain thoroughly how Choice Roof Restoration can help with any of their roofing needs. Mel is friendly, well informed, reliable and will make sure her clients are 100% happy with there job. Mel has an extensive background in customer service and strives for her business to be focused around satisfied, happy customers. Tony runs a business that puts his clients first and is built on a reputation where people choose to use Choice Roof Restoration for all their roofing needs. Tony has over 20 years experience in the building and roofing industry. Tony is professional, friendly, helpful and extremely reliable, his experience ensures all his jobs run smoothly and professionally. Tony makes sure his customers are 100% happy. Jake is a fully qualified roof tiler with over 20 years experience. Jake is by far one of the neatest and most qualified roof tilers in Brisbane. Jake is a well mannered and quiet gentleman who always deliverers a superior job. 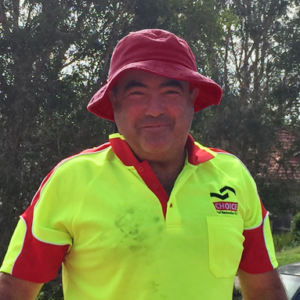 We are so happy for him to be part of the Choice Roof Restoration Qld family delivering our clients the best job possible. Aaron has over 15 years experience in Roof Repairs, Gutter maintenance and small odd jobs. He is a very well mannered, polite, hard working man. 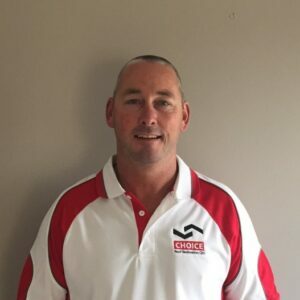 Aaron works in with all of us at Choice Roof Restoration to ensure all our clients are happy and are delivered with Quality that we expect from our team at Choice.